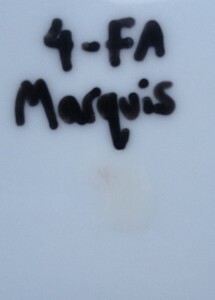 4-FA is a fluorinated amphetamine which has a strong serotonergic component, making its effects much closer to that of MDMA than amphetamine. It is popular in northern europe as an alternative to MDMA because of its easygoing effects and appears to have the added bonus of an improved short and long term safety profile. 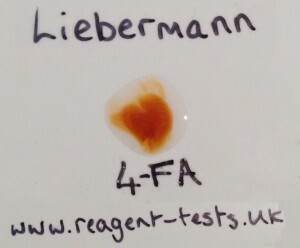 4-FA reacts to go reddish-orange when exposed to the liebermann reagent. 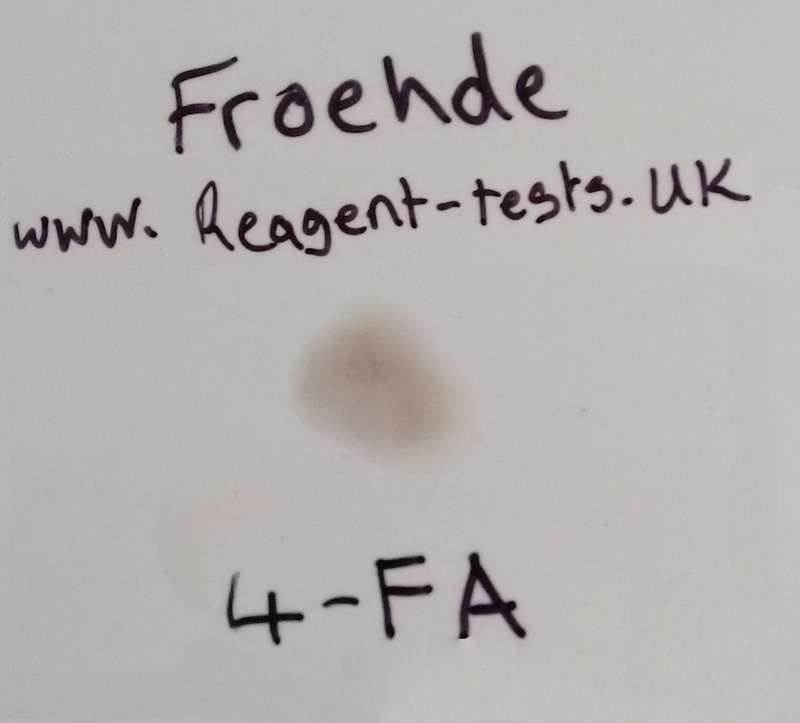 4-FA reacts with the froehde reagent to go a faint purple-blue-brown. 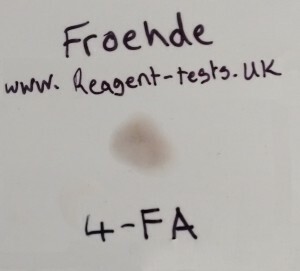 4-FA does not change colour when exposed to the marquis reagent. It may fizz and/or smoke slightly due to the presence of the HCl counterion. 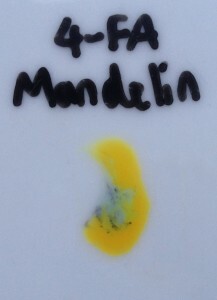 4-FA reacts to go bluish green when exposed to the Mandelin reagent.